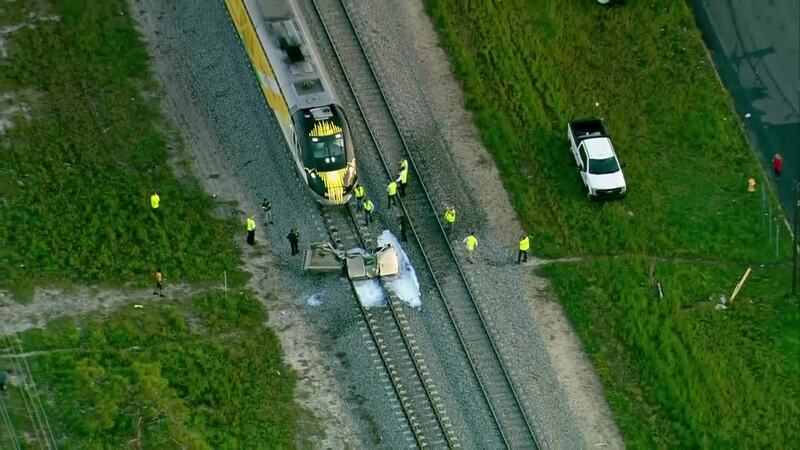 A pickup truck was struck by a Brightline train Wednesday morning in Lake Worth shortly after 7 a.m.
LAKE WORTH, Fla. -- A pickup truck was struck by a Brightline train Wednesday morning in Lake Worth shortly after 7 a.m. 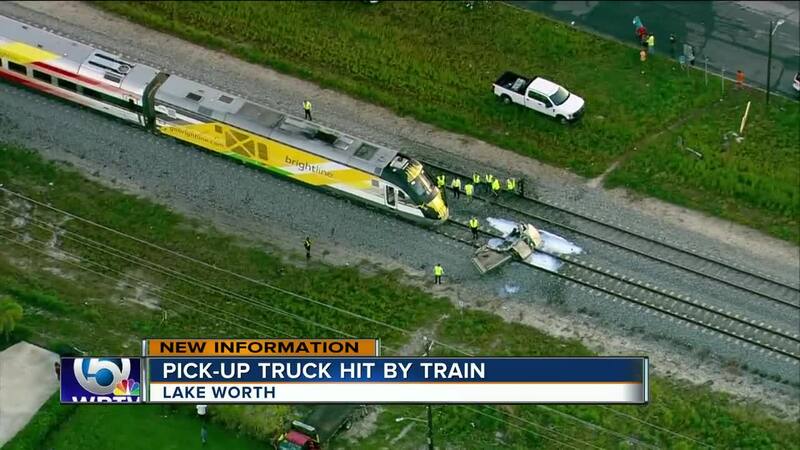 The truck was struck by a southbound train and came to rest between 10th Avenue and 7th Avenue in Lake Worth. The Palm Beach County Sheriff's Office says the driver of the truck was able to escape before impact.